General Peter Wrangel, a dashing figure who fought the Bolsheviks during Russia’s civil war, symbolizes in many ways a Russia that might have been. A legend surrounds Wrangel, the White commander who in 1920 sailed away across the Black Sea with the last of the anti-communist forces for a life of exile. His aura of courage, charisma, and incorruptibility was only enhanced by the mystery of his untimely death in 1928, shortly after his memoirs were published. For many exiled Russians, his death shattered the last hope of returning to the Motherland. He became the emblem of a lost cause. Peter Nikolaevich Wrangel was born into a well-established aristocratic family of Baltic German-Swedish origin, a branch of which had entered Russian state service in the second half of the eighteenth century, as Russia consolidated control of the Baltic provinces. Educated as a mining engineer, Wrangel served with distinction in the First World War, reaching the rank of major general by the time the Bolsheviks withdrew Russia from the conflict in 1917. The next year, after being arrested and released by the Bolsheviks, he joined the anti-Bolshevik Volunteer Army in the Kuban Cossack city of Yekaterinodar. His later short reign as White leader of the Crimea allowed him to deploy not only military but also political and managerial skills, and it thrust him—albeit briefly—onto the world stage. Even the Soviets acknowledged his military accomplishments, describing him as “a brilliant Guards officer”’ (blestiashchii gvardeiskii ofitser) in the Great Soviet Encyclopedia. General Peter Wrangel, educated as a mining engineer, served with distinction during the First World War. After the Bolshevik Revolution, he threw in his lot with the White forces, eventually becoming their commander in chief. 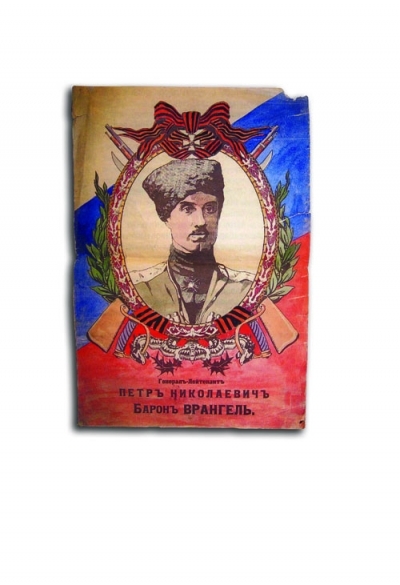 Much of Wrangel’s colorful life appears in the records of the Hoover Archives. His personal secretary, N. M. Kotliarevskii, sent all the general’s papers to Stanford in 1928, during a time when the Hoover War Library was busy collecting materials about the vanished empires of Europe. Hoover’s reputation made it a prime destination for the papers of Russian émigrés; in addition to Wrangel’s manuscripts, letters, staff papers, records of his short-lived government in the Crimea, and other documents, the collections include materials from Wrangel’s family, particularly his mother, Mariia Dmitrievna Wrangel (d. 1948), who documented the Russian emigration and diaspora. 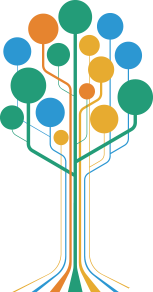 In fact, the Hoover Archives harbors the single largest collection pertaining to Russian émigré documents in the Western World. Wrangel, the commander who offered the last significant military resistance to the Red Army, governed briefly in the Crimea before resistance to the Bolsheviks collapsed. His sharp intellect could cut to the marrow of the matter very quickly, and, as he was used to making decisions on the spot, he applied this way of ruling in civilian matters as well as military. At times he could be effective. Yet he had no experience in civil affairs, and, like many Russian officers who had witnessed the collapse of the empire and the “disasters” of 1917, he distrusted all bureaucrats and politicians. Many were his critics in this Crimean period, especially among public organizations and political parties—even among the large number of anti-Bolshevists who accepted that during civil war one could not subject all government affairs to long parliamentary discussions. The general was at the center of several turning points in the Russian Civil War. It is tempting to speculate, for instance, about what might have happened had he become commander in chief of White forces in July 1919, when anti-Bolshevik forces took Tsaritsyn, rather than in March 1920, after the anti-Bolshevik front had collapsed. Wrangel’s character and strategic ideas clashed with those of General Anton Denikin, his predecessor as overall commander in South Russia. Strengthen the armies’ flanks, Wrangel urged Denikin—reorganize the rear, create reserve units, secure Astrakhan, and let the active units rest while concentrating cavalry in the Kharkov region. The cavalry element was central: Wrangel would have concentrated all mounted troops into a single, huge corps. The Whites had fifty thousand mounted troops available. Under strict command and with flanks and rear secured, the cavalry would have confronted the Red Army with a huge, possibly insurmountable, problem. Wrangel’s sensible plan would have empowered the cavalry to ride to Moscow along the shortest possible route while relying on a strong base of reinforcements. Leon Trotsky, commanding Bolshevik forces, was well aware of the danger. At the time, the Red Army had not even begun to form a cavalry army of its own. Wrangel had the natural self-assuredness of the born aristocrat, reinforced by his service in the elite Horse Guards. In contrast to Denikin, a self-made man of humble origins, Wrangel conveyed a personal authority that kept the unruly Cossacks under his control from committing rampages and pogroms. Denikin could not hold them back. As a result, the advance on Moscow in September and October 1919 was marred by wholesale plundering, which turned the peasant population against the Cossacks and the whole White army. 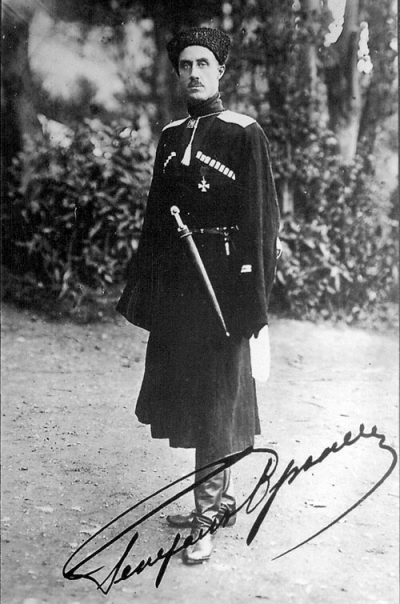 When Wrangel took supreme command he quickly restored discipline—using harsh measures—and was esteemed for doing so. Under strict command and with flanks and rear secured, the White cavalry would have confronted the Red Army with a huge, possibly insurmountable, problem. But events took a different turn. Wrangel appears in this 1919 poster, part of a series depicting generals of the anti-Bolshevik forces. Many exiled Russians felt that his death in Brussels in 1928 closed the door on any hopes of regaining their country from the communists. the agrarian reforms, as an experiment, though coming too late, meant a sharp turn in the course of the policy of the South Russian government regarding the agrarian question, and it had a great significance. I was deeply convinced—and still am—that if the land law, even in the form in which it was published by General Wrangel on 25 May 1920, had been published by General Denikin on 25 May 1918, then the outcome of the civil war would have been quite different. Wrangel presided over the epic evacuation of the Crimea in late 1920. His soldiers, the remaining ships of the Black Sea fleet, and thousands of civilians crossed to Turkey to escape the advancing Red forces. (The fleet lived on in a sort of naval half-life until 1924, when the ships, by then interned in Tunisia, were awarded by France to the Soviet Union. The vessels were found to be unusable and were scrapped.) Wrangel began writing his memoirs in Constantinople, and continued writing at Sremski Karlovci in the future Yugoslavia, finally finishing them in Brussels in the mid-1920s. There he died, amid rumors that he had been poisoned by the OGPU, the secret police who had deeply infiltrated émigré circles. The rumors were strengthened after his successors, generals Aleksandr Kutepov and Evgeny Miller, were kidnapped by Soviet agents and murdered. But at least equally compelling is an explanation that takes into account the psychological and physiological strains in the years before his death. First were the enormous mental and physical burdens of assuming command of the White forces in South Russia in April 1920. Upon taking up that post, Wrangel had to not only restructure and command an army in disarray but reorganize civilian life in the Crimea and the territories subsequently conquered. Along with that came the strained relations with the former Allies, France and Britain. Then, when a cease-fire was concluded between the Bolsheviks and Poland in September 1920, Wrangel knew his fate was sealed, and he started to organize the evacuation from the Crimea. Once the exiles were in Constantinople, new battles began—most of them political, a field of activity Wrangel despised. This was a remarkable success, but it was not the end of his struggles: once the exiles were in Constantinople, new battles began—most of them political, a field of activity Wrangel despised—around resettling the army and paying for its upkeep. Eventually, after years of petty conflict among the émigrés, Wrangel was prevailed upon in 1926 to hand over the command of the Russian All-Military Union to a man he did not fully trust, Grand Duke Nikolai Nikolaevich. Clearly exhausted, Wrangel moved to Brussels, were he lived for barely fourteen months. His role in shaping Russia’s history was finished. He faced only the frustrating prospect of a premature and disguised retirement at the age of forty-eight. Several of those who encountered Wrangel in the months before his death described him as lifeless in comparison to the energetic and high-strung man they had known. An enormous burden had fallen from his shoulders in 1926, but a purpose in life had disappeared. He also had financial worries. His family, once well to do, was reduced to barely concealed poverty in a house on the Rue de Bel-Air in Brussels that was far too small to accommodate all those who had found refuge there. For the general, who was used to the open-air life of a cavalryman, this must have been an additional strain. His rapid decline in health and his sudden death ultimately fail to surprise. Wrangel’s memoirs end with his departure from the Crimea in late 1920. Using a wealth of previously untapped sources, my new biography, The White Knight of the Black Sea: The Life of General Peter Wrangel, is the first comprehensive study of his life to appear in English. The book tries to do justice to a general who was much more than a professional soldier. He was a man who personified the idea of the White cause and, above all, someone who tried to keep the spirit of resistance against Bolshevism alive.